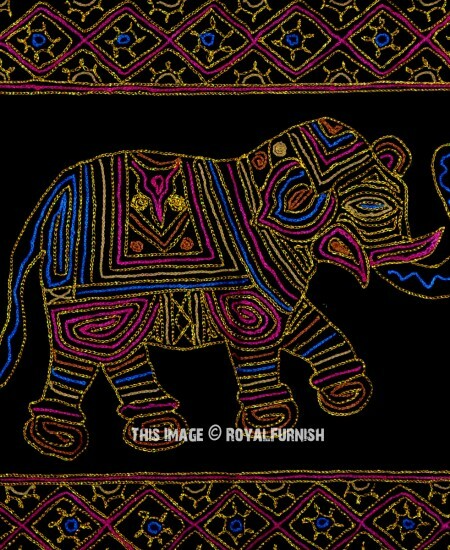 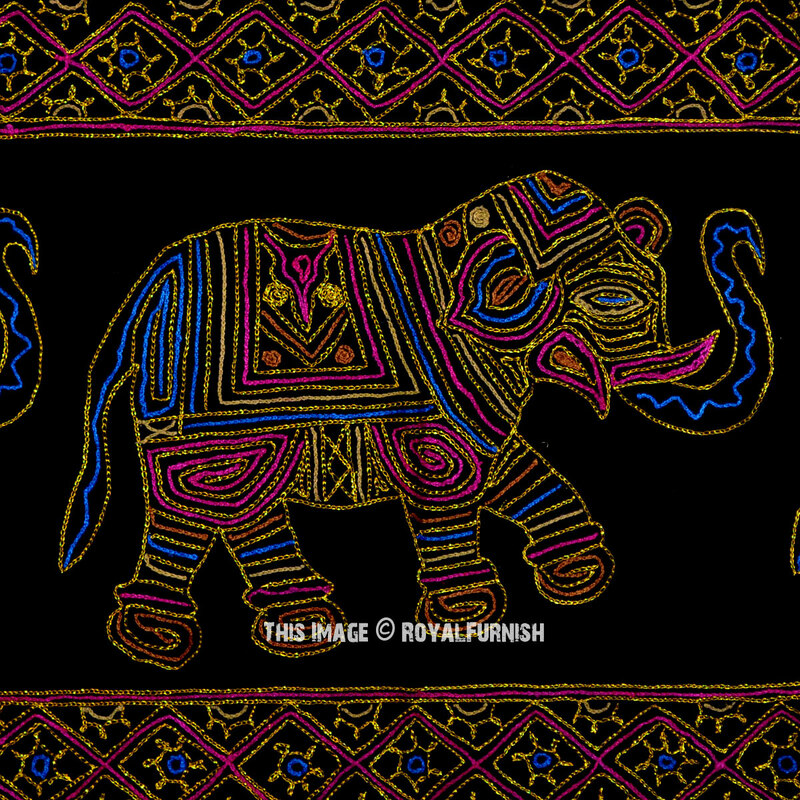 Add an accent with hand ari embroidered artwork wall hanging.Elephants are designed with golden color threads on cotton fabric. 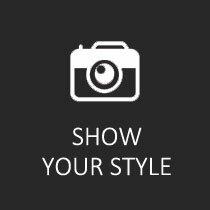 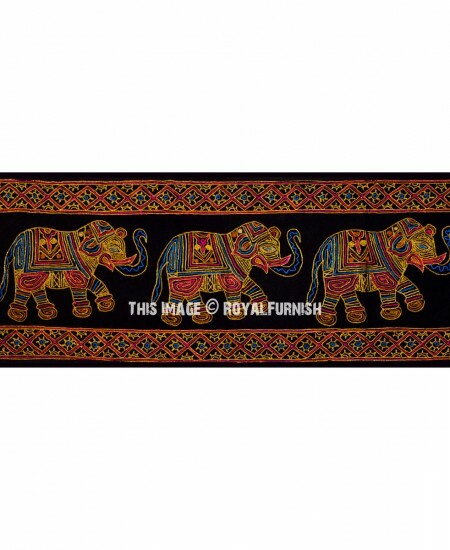 It is rarely found tapestry wall hanging and it is perfect piece of art to decorate your space. 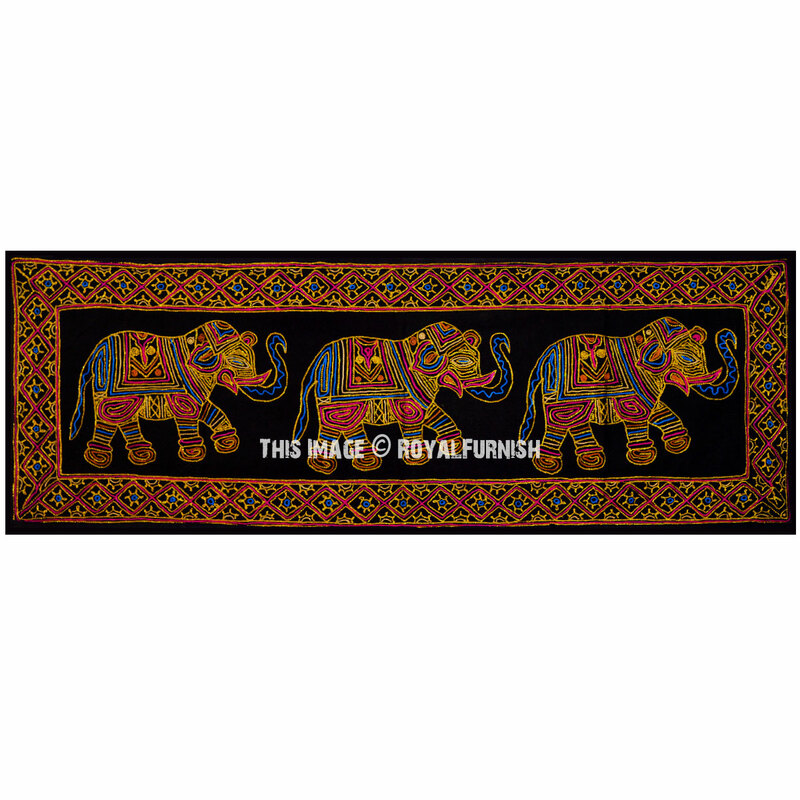 Black Multi Elephants Hand Embroidered Cotton Wall Hanging added to the cart!